Corporate Tours are an excellent way for AMA members to get a behind the scenes look into what a career in marketing looks like. Through gaining an exclusive tour from industry professionals, members have the opportunity to expand their professional and collegiate networks, while having fun lively experience with fellow members and faculty. We constantly visit different industries along California's Coast including software, entertainment, and tech! Stay tuned for the next corporate tour opportunity! HH Global “HH Global has been the leading procurement partner in the outsourcing industry for twenty-five years. Our philosophy is innovation focused and client driven. This defines the way HH Global operates and the steps we take to achieve our goals. 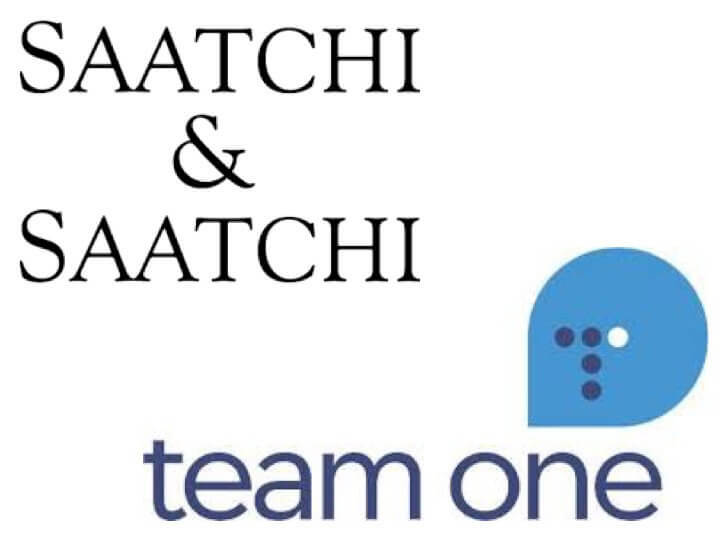 Team One “The next generation of affluents is here. And they’re seeing their world through different eyes. They value significance over status. They aspire to worth over wealth. And they seek brands that don’t just serve them, but also inspire them. This is the single reason Team One was created: to help brands build relationships of worth with affluent customers. Understand them more deeply. Target them more precisely. And be at the leading edge of how they travel the digital world. Everything about Team One is custom-built to deliver this. We live at the intersection of luxury, data and technology. We track the ever-changing attitudes of affluents across the world. We invent new ways to engage them that feel more personalized. And we turn all of this into ideas that shatter the equation between price and product. Invoca helps the modern marketer optimize for the most important step in the customer journey: the phone call. With Invoca’s Call Intelligence platform, marketers can get granular campaign attribution to understand why customers are calling, gain real-time intelligence about who’s calling and analyze what’s being said in conversations. AMA had the opportunity to have an open networking session with its VP of Sales and VP of Marketing in order gain deeper insights into the tech marketing and sales industry. 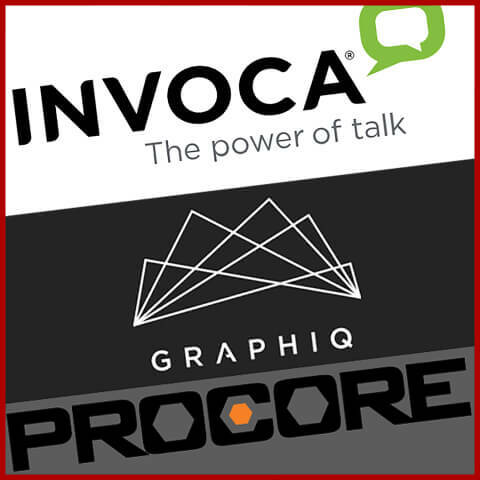 Graphiq is a tech company on a mission to drastically simplify the process of obtaining the world’s knowledge. They essentially turn complicated data into vivid and contextually-rich visualizations and knowledge products. After gaining a private tour of the premises, AMA received a presentation on what corporate structure is like in a tech marketing firm. Attendees then were able to network with sales and marketing representatives in order to make important connections in the industry. Procore is the United State’s #1 cloud-based construction management software application that helps firms increase their project efficiency and accountability by providing streamlined project communication and documentation. After being warmly greeted with a catered lunch overlooking the ocean, AMA members received an exclusive tour of the three office campus. 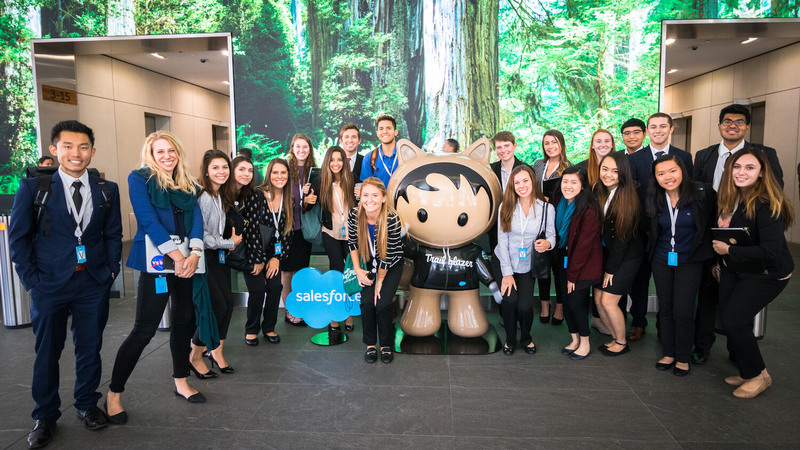 Throughout the tour, members from the marketing, sales, sales development, videography, and customer success departments elaborated on what their roles entail and what they do on a daily basis. At the end, Procore held a networking session for our members with over 20 representatives ranging from entry level to the CEO. All members in attendance were able to make invaluable connections to the tech construction industry. 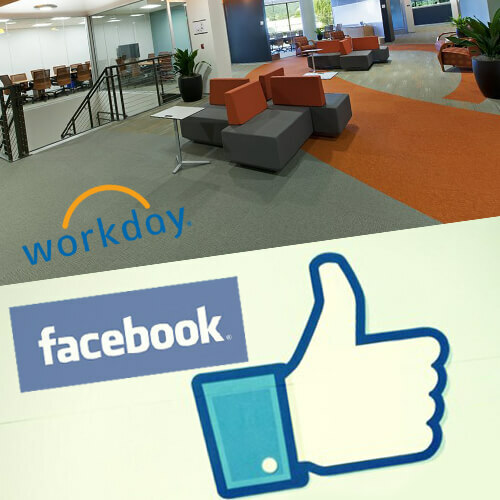 On November 6, 2015, AMA had an opportunity to tour both Workday and Facebook in the Bay Area. Workday is an extremely innovative cloud based financial management and human capital management software vendor. It has also been named the “Best Business Application” by the San Francisco Business Times in recent years. AMA had the unique opportunity to sit down with a panel of its executives from the data analytics, marketing, social media, and public relations departments, in order to gain a deeper insight into what a career in the marketing field entails. Facebook is by far the largest social network worldwide, having over 1.3 billion user accounts. Through its innovation, it has been able to evolve into much more than a social media platform since its launch in 2004. It has now expanded into music, news and advertising technology (ad tech), and much more. 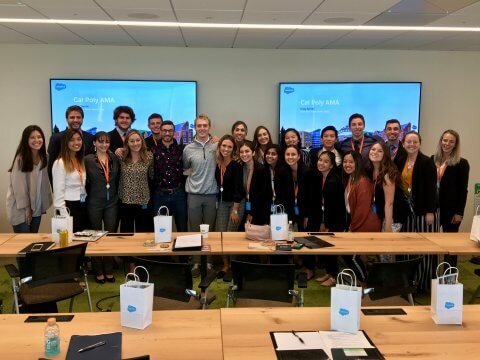 During this tour AMA had private tour of the city-like campus as well as a panel with multiple departments, including ad tech and brand awareness. 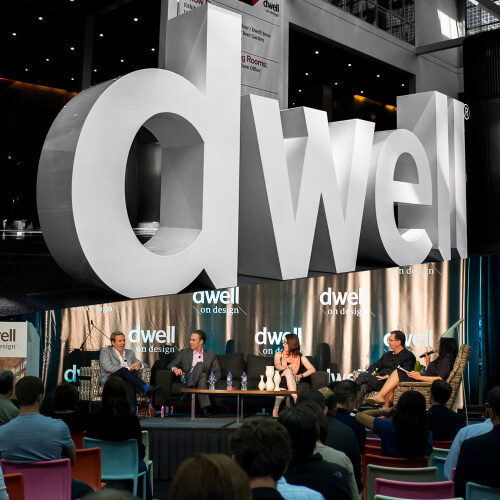 On May 29th 2015 AMA had the opportunity to tour the Dwell on Design Los Angeles Conference. It is the largest design conference held in the US each year! Every year, Dwell editors carefully craft a program that invites people to “step into the pages of Dwell” and experience modern design. 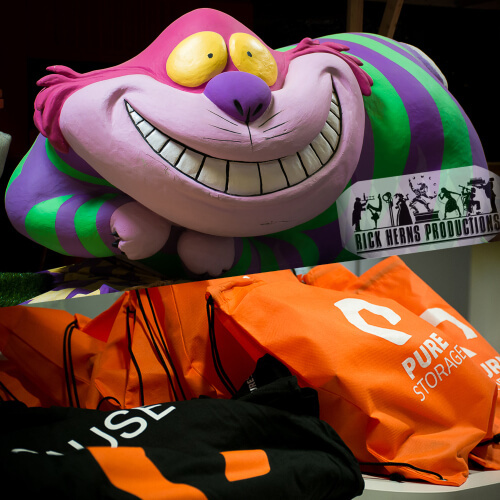 On April 24, 2015 AMA had an opportunity to tour both Rick Herns Production and Pure Storage in the Bay Area. Rick Herns Productions is an award-winning event production company providing creative and logistical services for corporate events and private parties. They are comprised of team of multi-talented people who combine their enthusiasm for event production with a collaborative approach to design and planning. We had the opportunity to tour their warehouse and see first hand all the props that go into making an event. We also got to go his office and learn about the business side of his company. Pure Storage is a company redesigning the way you storage store information. They do it by being leading innovators looking to help its customers reduce cost and reduce the complexity of storage. They do all this with with the leading new technology they call Flash Storage. We had the opportunity to sit down with their Sales and Marketing Team to learn more about this product and the tech industry.